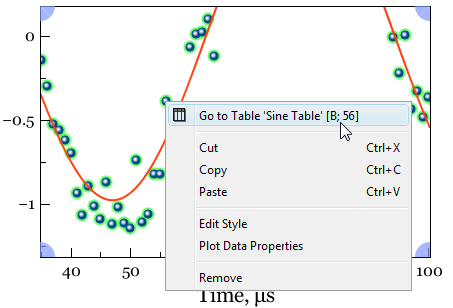 MagicPlot shows mouse cursor data coordinates in status line. 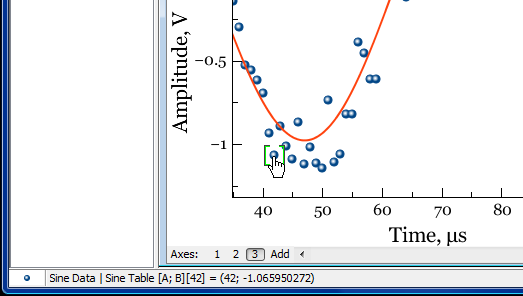 If you have several axes on one Figure, cursor coordinates relative to selected axes are shown. MagicPlot can draw crosshair cursor. To turn it on use View → Crosshair Cursor menu item. Use context menu of the Curve to open table with data or to open properties dialog. You can use Scale Zoom tool to measure the distances on plots. MagicPlot shows the distance in status line when you select zoom box by mouse dragging. You can press Esc or reduce box size to zero before releasing mouse button to prevent zooming if you want only to see the distance. 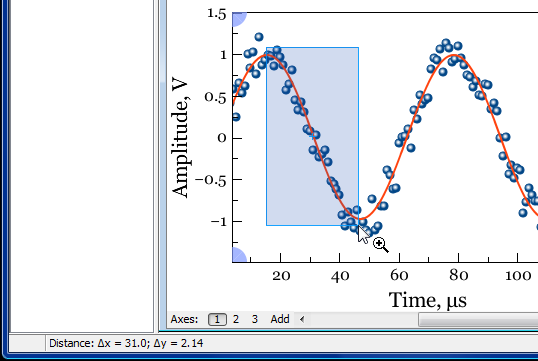 If multiple axes are located under cursor MagicPlot will show the distance in terms of current axes (showed with blue corners). ← or ↑ or Shift+Tab selects the previous Curve. If no Curves are selected the first pressing on these keys will select the first Curve. 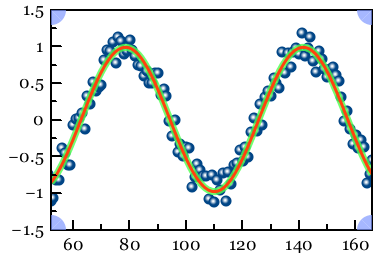 If the Figure contains multiple Axes, the Curves in all Axes are accessible in turn by this method.